No more overspilling storage cabinets. Many “paperless offices” these days are still slow, cumbersome and inefficient. And they still produce large amounts of paper; paper which goes into files that take up expensive office space. However, Pentana Solutions has come up with a way to make the paperless office a reality. Introducing DocuSmart Archive. DocuSmart Archive is far more advanced than your typical paperless system. DocuSmart Archive captures, files and retrieves information automatically. Documents can be filed anyway you like, by invoice number, order number, customer, date, even barcode. With the SuperText option, every word in a document can be indexed meaning there’s no need to put in additional identifiers by hand. And notes can be attached to help with tracking and compliance for audit purposes. The benefits to your organisation aren’t just speed and efficiency. DocuSmart Archive also increases productivity and reduces cost by removing the need to store, retrieve and handle all that paper. Compliance costs are reduced. Information is easy to access and decision-making processes in organisations are significantly shorter. In short, by automatically storing, indexing and filing documents in electronic format – your business becomes more efficient and more profitable. The flexibility of DocuSmart Archive helps streamline your accounts department to the very last detail. 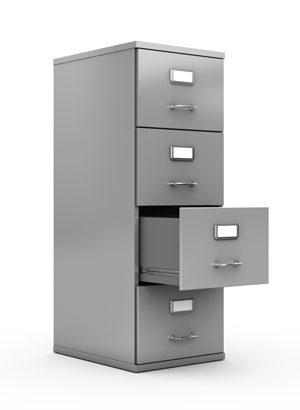 Any and all documents can be filed electronically: Word, Excel, PDF, Tiff and paper documents that have been scanned. File retrieval is simple yet powerful. Users can drill down with the Explorer view, through the simple hierarchy of repositories, filing cabinets and drawers, or the use of powerful, built-in filters. Documents can then be searched and accessed from within your own applications, unlocked with normal Windows password security permissions. And at any time DocuSmart Archive is fully integrated, intuitive and protected – giving you the ease and organisation every business yearns for. The benefits of DocuSmart Archive can be found in saved time – through reduced duplication and limited manual typing - and in saved money due to accurate, timely and transparent responses to all legislative and regulatory requirements. DocuSmart Archive reduces the risk of misplaced or damaged documents now that they’re securely backed up on the server. And retrieval of documents is instant – optimising important decision-making situations. There is ultimately less creation, storage, retrieving and handling of paper altogether improving business continuity. And once you save documents one time, they’re there for retrieval and sharing from anywhere.